Pregnancy seems infectious at one labour ward, as nine nurses who work there are all due to give birth within weeks of one another. The expecting medical staff all work in the labour and delivery unit at Maine Medical Centre, the largest hospital in Maine, US. 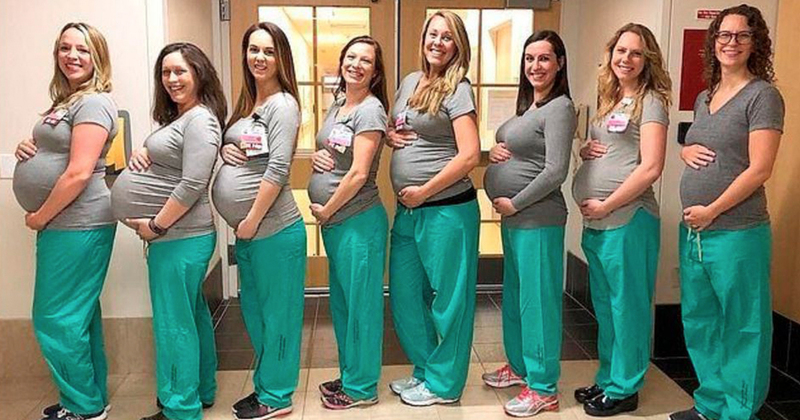 Photos of the nurses were posted to Facebook, where the women showed off their respective bumps and held signs revealing their due dates. Though some look a little bit closer to popping than others, the new arrivals are all due between April and July – so it looks like the hospital will have to find a hoard of staff to cover as they embark on their maternity leave! The nurses spoke to WMTW-TV about how they’re supporting each other through the process, as reported by the Mail Online. It’s really nice coming to work and seeing other people who are just as pregnant and watching their bellies pop and just talking about these experiences that we are going through together. 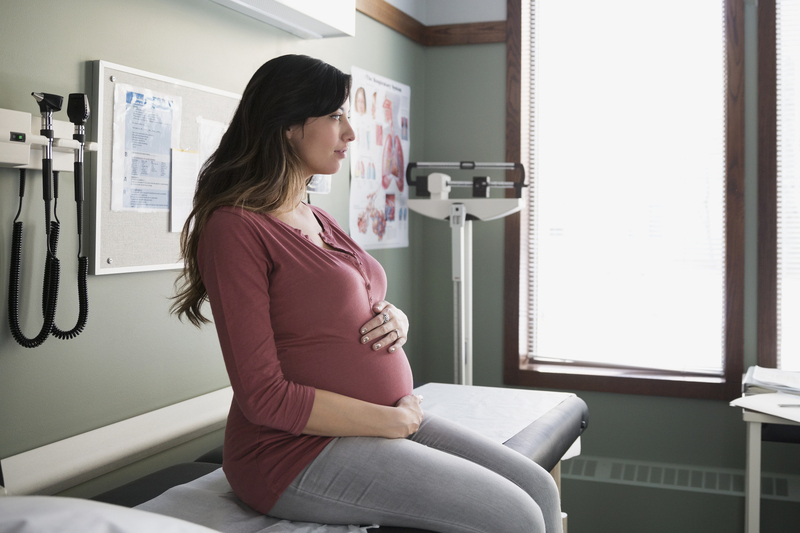 According to WGME, fellow staff member Nicole Goldberg said the nurses’ pregnancies can be reassuring to patients who come in to the labour ward. I think that they tend to feel comforted and they also tend to find that it’s a common ground between us. I think we’re looking forward to raising our babies together. To having friends, playdates and continuing the support of having shared experiences of all having babies together. 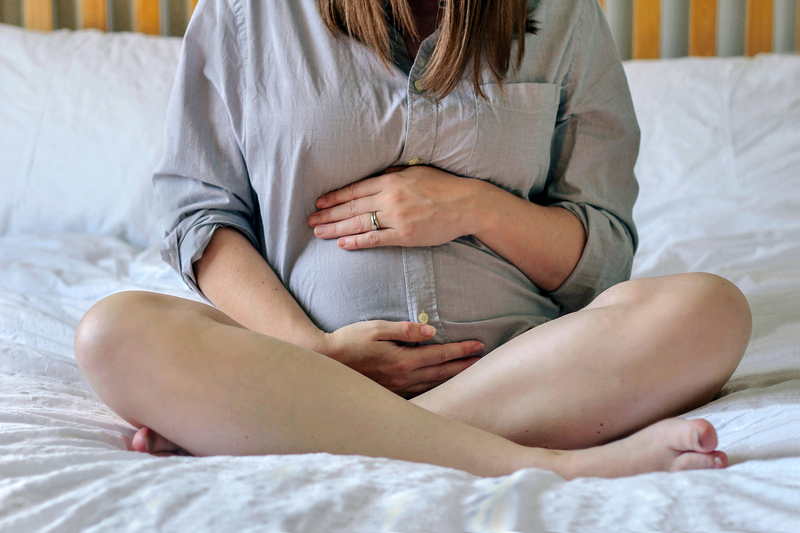 It’s unclear whether any or all of the nurses are first-time mums, but hopefully their time spent on the labour ward will have prepared them for what’s to come over the next few weeks!